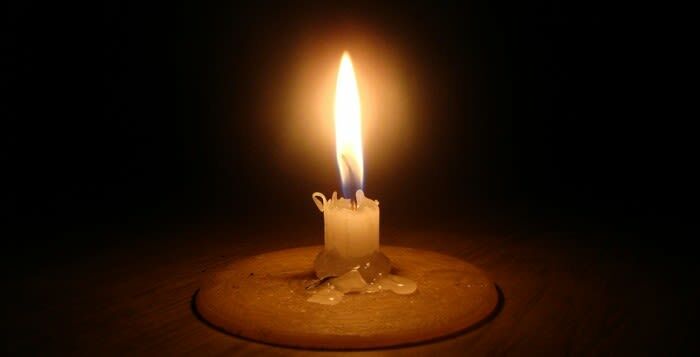 We always had the loadshedding scare hanging about us, and Eskom have advised us that they have now implemented Stage 1 loadshedding now. We are already starting to communicate with our customers via our Twitter account. We are able to stick to our load shedding schedule at the moment. Yesterday, Eskom had not been able to advise us that they would have to loadshed, so we won't know what the situation will be for later this week. We are upping our maintenance programme so we can be able to cope with load shedding. We used to own Kelvin power station, which is now privately owned, and we continue to buy power from Kelvin power station. Here in Langlaagte, it appears that a looting incident occurred, with eyewitness reports of people in a nearby informal settlement having run from across the industrial area and starting to loot. Police have gone into the informal settlement and seized a lot of stock from these shacks and police will be returning this stock back to the respective foreign shop owners. The residents meanwhile claim that they weren't looting, but that the foreign shop owner had first opened fire and they retaliated with stones. There's quite a big police presence currently and I can count at least 20/30 police cars here. It's understood that he (the shop owner in question) has fled the scene after opening fire and it is understood that he won't be returning here. There is a lot of anecdotal evidence to support that a lot of foreigners generally do well in business, and this is also supported by actual research showing how foreigners borrow from each other within networks and provide support for one another. They also invest more where find your average Somali shop owner will invest about R20 000 in start up capital, whereas your average South African spaza shop owner will invest an average of R1000 in start up capital. We expect him (murder accused George Louka) to say that Radovan Krejcir is the man that pulled the trigger. Louka's lawyer says that he's also made other statements about other cases, but he is not saying which cases these are yet. Krejcir is currently behind bars at the Kgosi Mampuru Prison in Pretoria right now for an attempted murder case. Louka is currently at an undisclosed location for his safety. When the Transvaal forces were driven eastwards, they were short of ammunition by September 1900 and started destroying their guns, with almost half of their ammunition destroyed. There were still some Boer guns left by the end of the war, but they had to destroy a lot of them as a lot of the ammunition was imported from France and parts of Europe. The codes are going to be very difficult and the average small business is going to drop down 3 or 4 levels and struggle to remain complaint. It will make business a little more difficult for smaller businesses with an average turnover of between R10-50 million - which is a large part of the population - unless they take fairly quick action. It's not too difficult to remain compliant, but they need to act quickly. There's been confirmation to implement these new BEE codes by May this year, which doesn't give too many businesses too much time. It's based on new court papers, but of course, they are allegations. I wish the process would take it's course, because this has been happening for a long time over 5 years and it's getting deeper and deeper and Mr Brian Hlongwa is still the ANC Chief Whip in Gauteng and the Premier who constantly talks about cleaning out corruption, needs to do something. I raised this 6 years ago, asking how he could afford a R7,2 million house in Bryanston and I feel vindicated now by the (existence of this) case. I am only saying what's in the court documents and I wish he (Hlongwa) would have his day in court, because the Hawks have been investigating this for the last 5 years. It's a very important visit because the US President is the executive authority who would oversee the supply of American equipment to Indian nuclear plants. Because of the (December 1984) Bhopal gas tragedy - in which an American company was involved and many Indians died, Indians have now come up with an insurance pool and it will pave the way for American equipment to be in India. The hip factor has made it very fashionable to play vinyl. Another thing is the music factor, with a lot of young people turning away from dispensable and disposable music that's being produced nowadays, wanting to turn to say a Led Zepellin for example. A vinyl is a very visceral experience, that you can physically hold, wipe and play. New vinyl is being made now for the first time in decades, there have been a lot of new South African bands that are recording in analogue to release on vinyl. I've been collecting vinyl all my life, it never died!